• The trademark will now enjoy the unlimited period of legal protection whereas the term of ordinary trademark protection is 10 years. • Legal protection is extended to all types of goods and services, not only to the type of goods and services the trademark is registered for. • The brand owner can have a larger compensation and a broader scope of protection in the event of infringement. 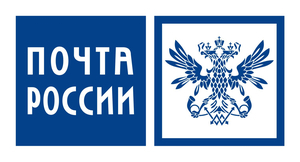 No more than 200 well-known trademarks are currently registered by the Russian Patent and Trademark Office (Rospatent). This means that such cases are quite rare and the procedure is complicated. It is worth to mention that our experts had the ‘Pobeda vkusa’ trademark recognized as well-known in 2016. Significant experience has helped our trademark attorneys complete the filing procedure in the shortest time possible. The whole process has taken a few months. Our experts compiled and analyzed the evidence documents, filed the application to the Rospatent and participated in the board’s sitting. Russian Post supported their case by the fact that the company is the state postal service operator and a system-forming enterprise, has an extensive office network and enjoys a 95 per cent market share of mail and parcel deliveries. Furthermore, a public opinion poll showed that the ‘Russian Post’ trademark is known to 99 per cent of consumers in Russia and the CIS. Trademark Attorney Rimma Slemtseva led the case. Patent office PATENTUS provides services in the registration of trademarks, inventions, utility models, industrial designs, intellectual property protection, patent researches, expert examinations. Our patent attorneys and lawyers are specialists with extensive experience in the registration and protection of intellectual property in Russia and abroad. The firm was established in 2006 and since then has provided services to more than 8,000 clients in different parts of Russia.